Aquaponics is a fascinating yet simple technology. Not only can you grow fish, you can also grow edible plants. It’s a symbiotic relationship between the plants and the fish. 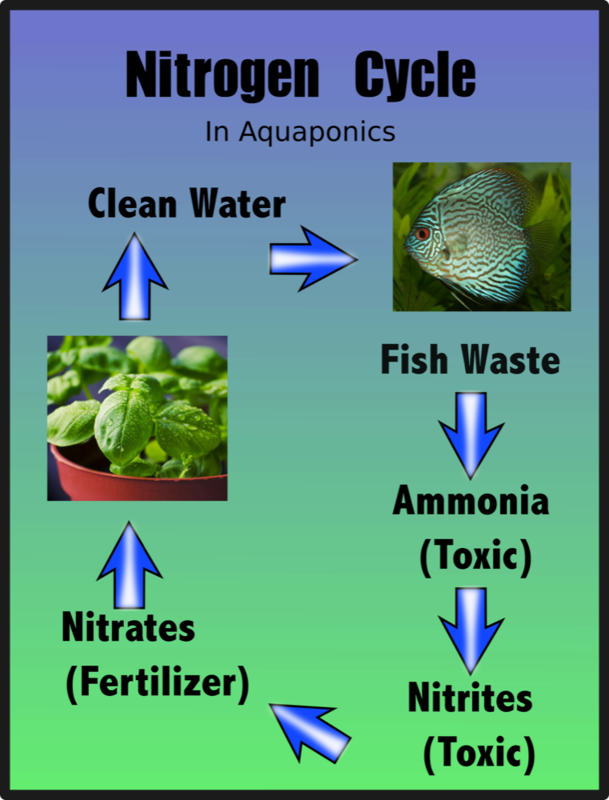 The fish need nitrates removed from the water, and the plants need nitrates in order to thrive. One helps the other and it’s all done without chemicals or traditional soil. 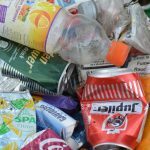 In this post I’m going to explain the basics to get started on a small scale at home. This is a fun project for kids and teaches them some basic science principles. It’s beneficial for parents since we get to eat the fresh herbs or whatever you choose to grow. I love the idea because you get to entertain your kids and get free food from the project. What could be better? Free and fresh herbs & vegetables. Even a small aquaponics system is capable of growing fresh herbs and vegetables. Not only is this healthy, it cuts down on your weekly food bill. Eliminates water changes. 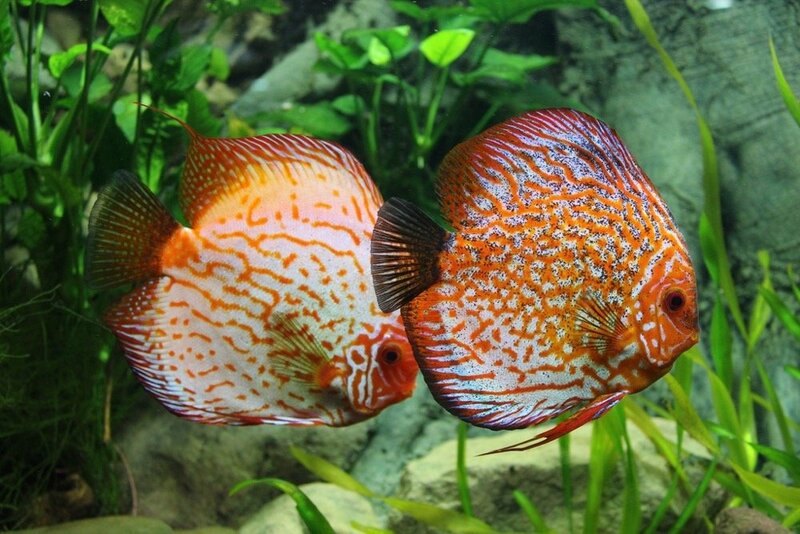 One of the hassles with having a traditional aquarium is the constant need for frequent water changes. These periodic changes are needed in order to reduce the amount of nitrates in the system. Left unchecked, algae blooms are inevitable. Kid Friendly - This project is easy to set up and is both educational and entertaining. Kids find fish fascinating and getting them involved with growing fresh veggies encourages them to eat more of them. Yeah. Less plant pests. Healthy plants are hardier and more resistant to pests. Indoors, plant pest can be a problem and one of the best ways to deal with them is to prevent pest from populating. A healthy plant is far more able to defend itself than a sickly plant. 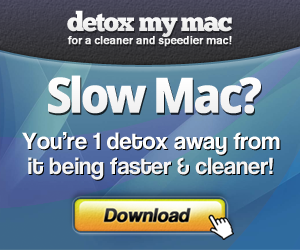 Since this system is semi automated, your chances of having a healthier plant are improved. Easier to grow plants. Depending on the ratio of fish to plants, there's no need for fertilizers or frequent waterings because this is all done automatically with aquaponics. Soil is eliminated and the aquarium provides everything the plants need to thrive. Healthier fish. A robust beneficial bacterial colony in the grow media combined with constant circulation of aqaurium water lead to healthy and happy fish. There are several ways you can set up your aquaponics system. In this design, the water will be pumped to the plant growing area and the return water will be gravity fed back to the aquarium. It’s simple yet effective and is flexible in that you can place the growing area as close to (or far away from) your aquarium as needed. Had this been a simple aquarium without plants, you could use a gravel filter at the bottom of the tank to clean the water. Gravel filters work by pumping air through tubes at the side of the filter where gravel is resting on top. What this does is create negative pressure in the tubes such that dirty water flows downward through the gravel and then clean water flow upwards through the tubes which returns back to the fish area. The whole purpose of the gravel is to both mechanically clean the water and also biologically clean through the nitrogen cycle. This is accomplished with beneficial nitrifying bacteria that is present in the gravel bed. For this reason, gravel filters aren’t too effective during the first few weeks or so when an aquarium is set up. As the bacteria colonies establish, the effectiveness of the filter improves. Now I explained this so that you know what the purpose of the clay pellets serve in the process. When you have a whole tray filled with pellets, there is a lot of surface area where the beneficial bacteria can colonize. The surface area is needed so that the the water can be cleaned effectively. In aquaponics, it also serves as an ideal medium where your plants can grow. The roots find their way down to the nutrient rich water (nitrates) and extract those nutrients as needed. It’s a win win situation. Determine the size of your fittings for the water line and select the appropriate sized drill. Drill two holes on the opposite side of the plastic bin. These should be drilled at different levels. The supply line holes needs to be drilled higher than the return line which is on the opposite side of the container. When assembled, water will flow from one side to the other and return back to the tank. Install the water fittings and be sure that both fittings are leak proof. You don’t want water leaking out onto your floor. Attach the water lines from the submersible pump to the high side, and install and cut to length the return water line. Test for proper length by placing your growing tray in its final position relative to the fish tank. Step 1: Add water and test the system. Make sure that there are no leaks and that all components are working properly. 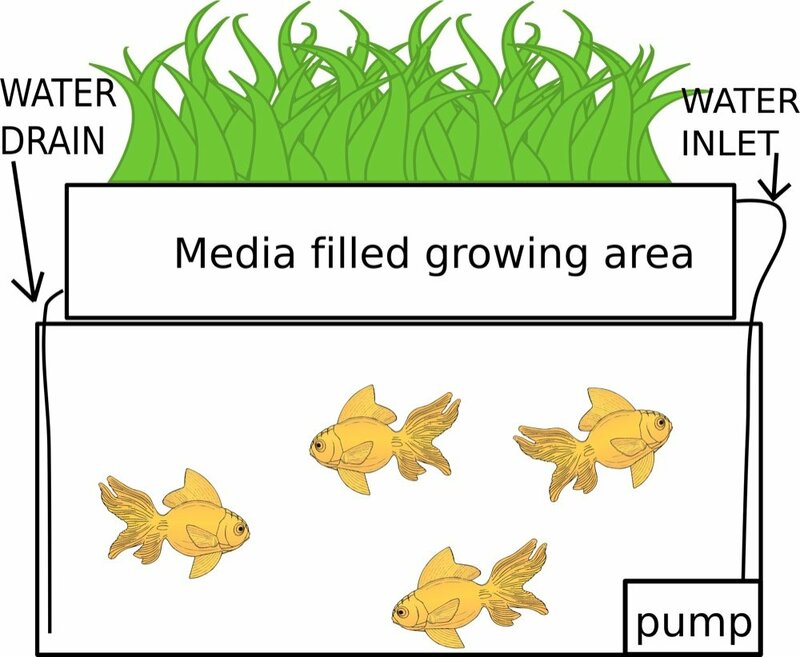 Your fish tank is mounted below your growing media. Your growing media should be in a location so that your plants get sufficient light. If needed, you may need to install grow lights to supplement natural sunlight. Step 2: Install your air pump in the fish tank and water heater. Test the temperature to make sure it’s correct for the fish you intend to raise. You need to make sure all the chlorine has been eliminated from the water. A simple approach is to run the system for 24 hours with a vigorous air pump running to help drive off the toxic chlorine. Another option is to use filtered, chlorine free water. As with traditional aquariums, in the beginning there isn’t enough bacteria to eliminate toxic ammonia or nitrites. There are a couple of approaches to solve this problem. One is to introduce a few hardy fish to start the nitrifying process. 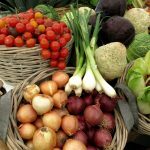 You will need to choose hardy varieties such as barbs. Now if you want fish like this or are willing to risk the health of your desired fish, then proceed. Another approach is to seed the system with some ammonia and wait for the full colonization of beneficial bacteria. This approach has less risk to the fish. Personally I like this technique. With either approach, you can greatly speed up the process by introducing the nitrifying bacteria yourself. I would recommend something like Fritz Zyme 7 nitrifying bacteria. It is ready to go and does not have to be refrigerated. Step 4: Test the water. No matter which approach you use, you need to monitor both the nitrite levels and the ammonia levels so that the water is safe enough for fish. Skipping this step or guessing could lead to fish death. Step 5: Add fish and plant your veggies. This is the most fun part. Once your biological system is up and running, it’s safe for both fish and your plants. You can start plants from seeds in something like coco choir in netti pots or place the plants in the growing medium. In either approach, the roots will find their way down to the nitrate rich water and start growing. Now this system is very simple and could surely be improved. If you want to build a nicer system, I’d check out this aquaponics ebook that not only shows how to build a system, but goes much deeper into aquaponics. They are also running a deal where you will get several free books when you buy the aquaponics book. I hope that you have found this tutorial useful. Drop me a note below and let me know your thoughts. I’d love to hear from you.